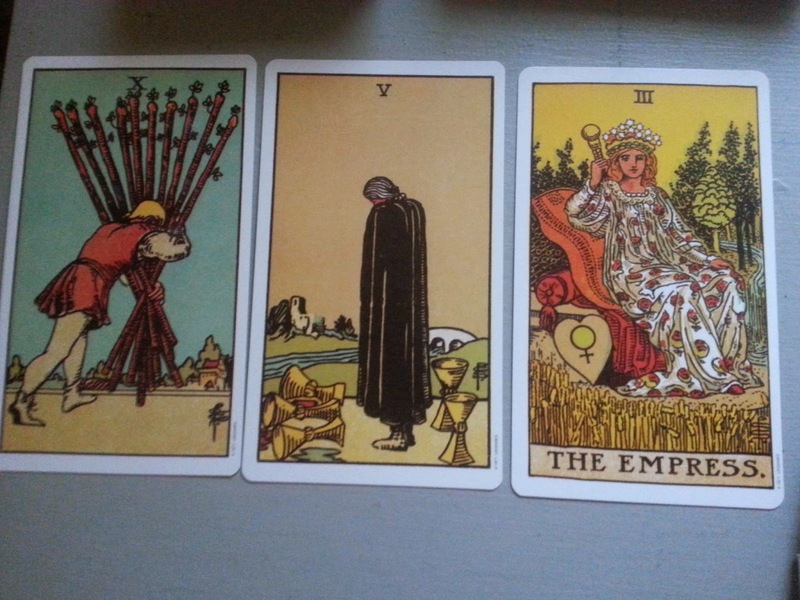 Cedar, Crow, and Moon: Reading: Why do I feel so depleted? Reading: Why do I feel so depleted? Querent's Question: Why do I feel so depleted? Picture - a man has gathered all 10 wands and is walking across a desert (tough) or open road/surface (easy) towards a wooded village. He is hunched over slightly indicating the wands may be a burden. Has he gathered all that he needs on his journey to go back to day-to-day life in the village and use what he has gathered? Are all those sticks he's carrying necessary? Interpretation: (Body) Exhausted and overburdened from many responsibilities and many people to keep up with. (Mind) Changes in life circumstances have brought about many changes in routine, and finding a new groove is taxing in the short-term, leaving you feeling shaken, spilled, and alone. (Spirit) Though you feel depleted, your being has not changed. You are abundant and peaceful at your core even if you do not feel it in your body and your mind. Prioritize and let go of anything not essential, lift some of the burden from yourself. Know that some of the emotional overwhelming is from transitions and will pass. Be thoughtful of new patterns you are establishing to provide an emotional buffer around yourself where needed. Trust that you are abundant and overflowing in all that you need to do, and where you feel you lack, you simply need to accept that what you have to offer is more than enough for what the situation needs, and that anything else needed will be provided by someone else or from the Universe in some manner.